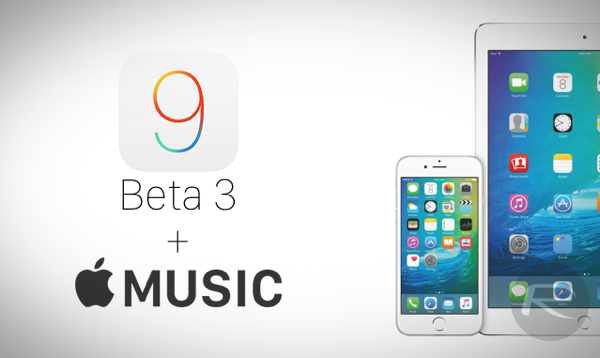 iOS 9 beta 3 download for compatible iPhone, iPad and iPod touch devices has been released. The third beta comes with support for Apple Music, the Cupertino company’s first ever venture into the music streaming arena. Announced back at WWDC 2015, Apple Music was originally meant to launch with the final release of iOS 9 this fall, but the Cupertino giant decided it would be a wiser move to jump straight into a wider audience as soon as possible, hence it was released as part of the iOS 8.4 update last week. You can get iOS 8.4 from here: Download iOS 8.4 Final IPSW Links For iPhone And iPad. Apart from Apple Music and Beats 1, the iOS 9 beta 3 build comes with the usual bug fix and performance enhancements, so users who have the beta installed already should feel a tad bit of snappiness when compared to the second pre-release build, which was released two week ago. Apple Music comes with a three month free trial which users can avail before they start to pay the $9.99 monthly fee. If, for some reason, you feel that Apple Music has checked all the right boxes for you and your family members, then Apple has you well covered with a $14.99 a month family plan, in which you can add up to 6 people under just one account. You can check out our full hands-on walkthrough with Apple Music here: Apple Music And Beats 1 Hands-On And Walkthrough [Video]. 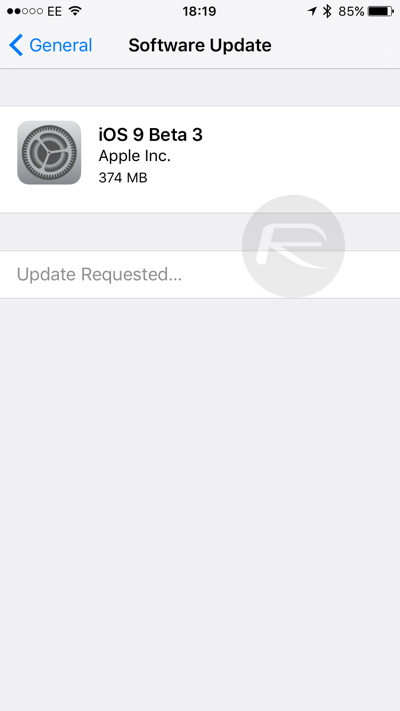 There are two routes users can take to download iOS 9 beta 3. The first one is to head over to Settings > General > Software Update, where the beta 3 OTA update will be awaiting your installation approval. This method will obviously work only if you already have a previous version of iOS 9 beta installed. If you are installing iOS 9 beta for the first time or want to install from scratch, then you might want to head over to the Apple Developer Program website to get things rolling. We recommended installing pre-release software only on the devices which are not your daily drivers. Need fast UDID registration, head over to iosbetareg[dot]com to purchase it! For everybody having trouble ՍΝᏞΟᏟΚing their AT&T phones, you can take a look at just google atttiphoneuunloockiingfor excellent service, it’s the most trustworthy ՍΝᏞΟᏟΚing site I have ever use, never took us over 6 hours to ՍΝᏞΟᏟΚing some of my devices.